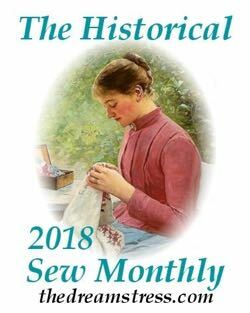 The Historical Sew Monthly Challenge #5 for 2017 is Literature. 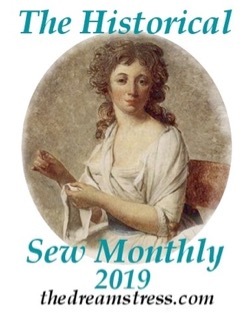 The written word has commemorated and immortalised fashions for centuries, from the ‘gleaming’ clothes that Trojans wore before the war, to Desdemona’s handkerchief, ‘spotted with strawberries’, to Meg in Belle Moffat’s borrowed ballgown, and Anne’s longed for puffed sleeves. In this challenge make something inspired by literature: whether you recreate a garment or accessory mentioned in a book, poem or play, or dress your favourite historical literary character as you imagine them. I could never better stead thee than now. Put money in thy purse. Follow thou the wars, defeat thy favor with an usurped beard. I say, put money in thy purse. It cannot be long that Desdemona should continue her love to the Moor—put money in thy purse—nor he his to her. Watchet is light or sky blue. Urania is the earliest known published work of English prose fiction by a woman. 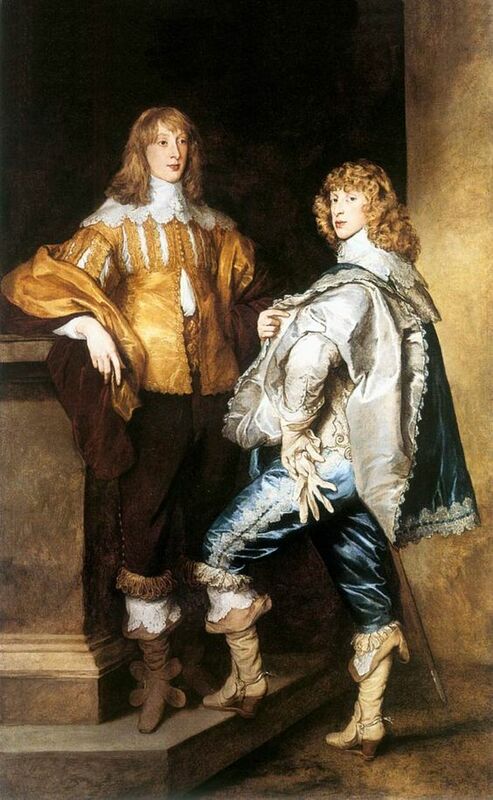 I dressed myself in a flower’d Satten, that was my Lady’s, that looked quite fresh and good, and which was given me at first by my master; and the ladies, who had not seen me out of my homespun before, made me an abundance of fine compliments, as soon as they saw me first. 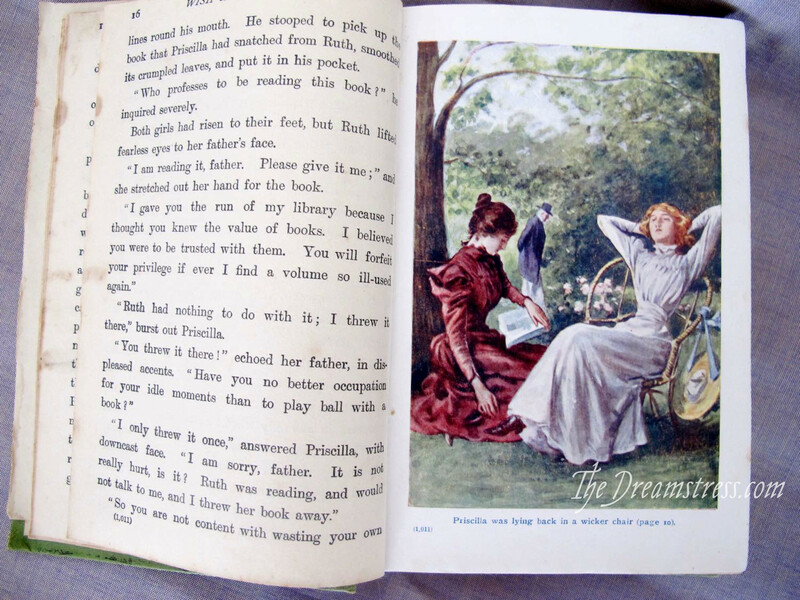 Due to the phenomenal popularity of Pamela, there are numerous illustrations for the book, and other artworks, though most depict Pamela in fashionable dress, even when showing her as a maid, especially after Richardson ‘gentrified’ Pamela’s speech and origins in subsequent editions of Pamela, due to criticism over the social gap between the maid and her lecherous employer-later-husband. I wish you could take the white and silver to be married in. It’s the worst luck in the world, in anything but white. Dress is at all times a frivolous distinction, and excessive solicitude about it often destroys its own aim. 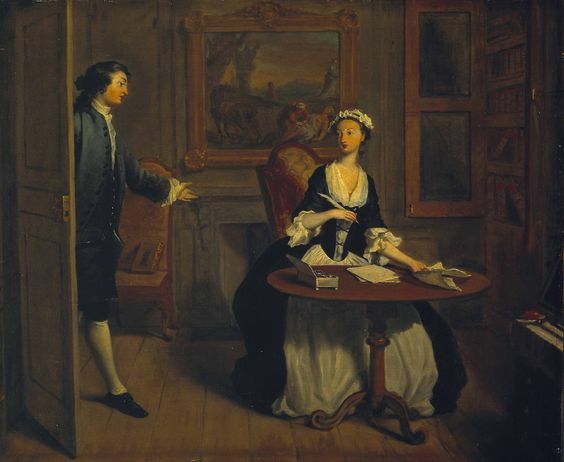 Catherine knew all this very well; her great aunt had read her a lecture on the subject only the Christmas before; and yet she lay awake ten minutes on Wednesday night debating between her spotted and her tamboured muslin, and nothing but the shortness of the time prevented her buying a new one for the evening. 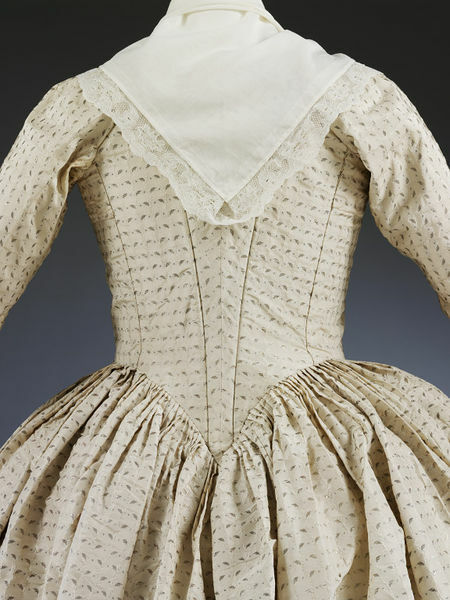 Jane Austen’s personal writing and letter reveal that she loved clothes, and paid a great deal of attention to them, but descriptions of dress in her published novels are spare: instead, she uses a focus on dress to gently mock her characters. In the above description one suspects that Austen knew Catherine’s dilemma very well on a personally! 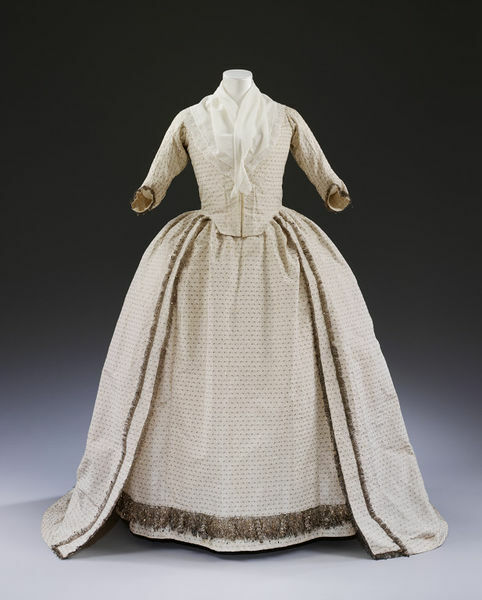 Muslin evening dress 1812-1815. 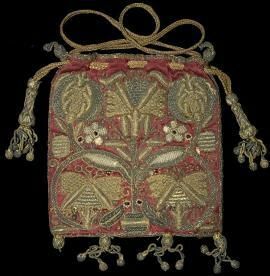 Embroidered with single strands of very fine silk, the stalks are embroidered in silver gilt thread. After tea, when Mr. Van Brunt was gone, and the tea things cleared away, Ellen had the pleasure of finding out the mystery of the brass kettle and the white maple bark. The kettle now stood in the chimney corner. Miss Fortune, seating herself before it, threw in all of Ellen’s stockings, except one pair, which she flung over to her saying, “There – I don’t care if you keep that one.” Then tucking up her sleeves to the elbows, she fished up pair after pair out of the kettle, and wringing them out, hung them on chairs to dry. But, as Ellen had opined, they were no longer white, but of a fine slate colour. The Wide, Wide World is one of my least favourite pieces of historical writing, because Wetherell’s heroine is snobbish, classist, spoiled and solves all her problems by sitting down and crying until someone rescues her. By modern standards, I can find a lot more to admire in the villain of the work: Miss Fortune, who is a ‘bad’ woman according to the mores of the time, because she disdains pointless class distinctions, and dares to live alone, earn her own living, and marry for mutual respect, irregardless of social standing. That aside, the book has some of the best descriptions of textiles, clothing, and sewing paraphernalia, including a detailed inventory of a sewing kit. The paragraph about dyeing white cotton socks to a more practical colour is also wonderfully delicious! I never feel as if I was dressed right. My things seemed elegant at home, and I thought I’d be over over-dressed if anything; but I look contrified and dowdy here. No time or money to change now, even if I knew how to do it,” answered the other, glancing anxiously at her bright pink silk gown, trimmed with silk lace. 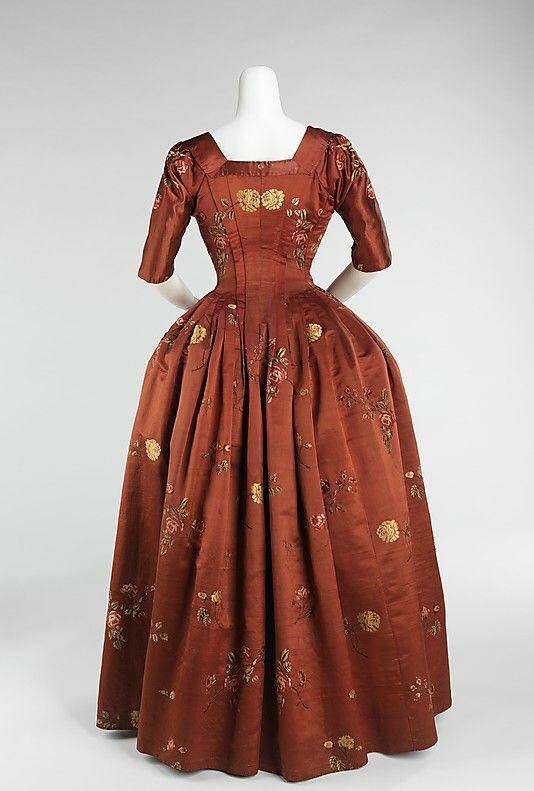 This gown is definitely a lighter pink, and probably far more expensive, than the one Alcott describes, but I suspect that Alcott would have found it anything but simple and elegant. 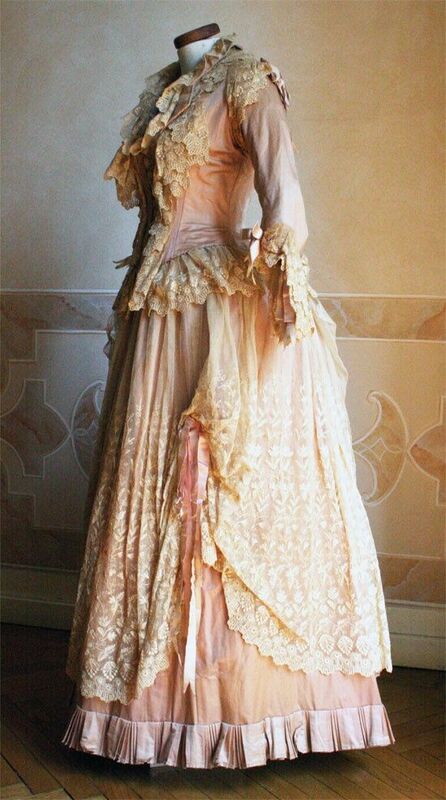 Evening dress, 1884, Abiti Antichi? 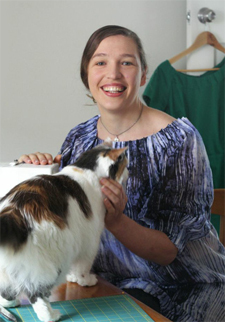 Flora’s own dress was harmonious in tones of pale and dark green. She wore no jewels, and her long coat was of viridian velvet. 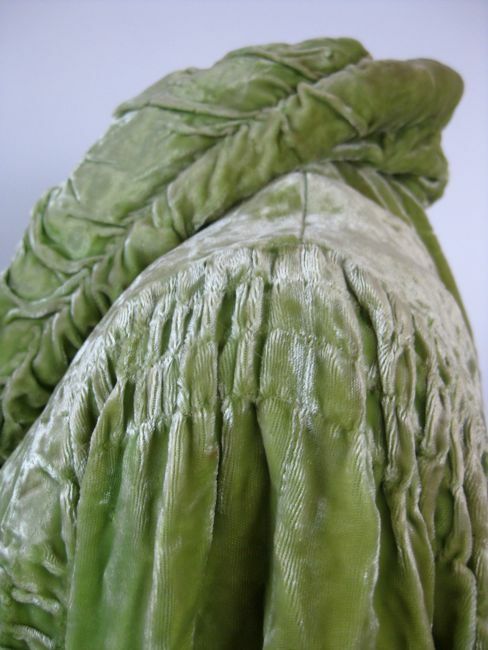 Interestingly, although Flora advises Elphine against dull green, every single item of her own dress which is described by colour in Cold Comfort Farm is green. 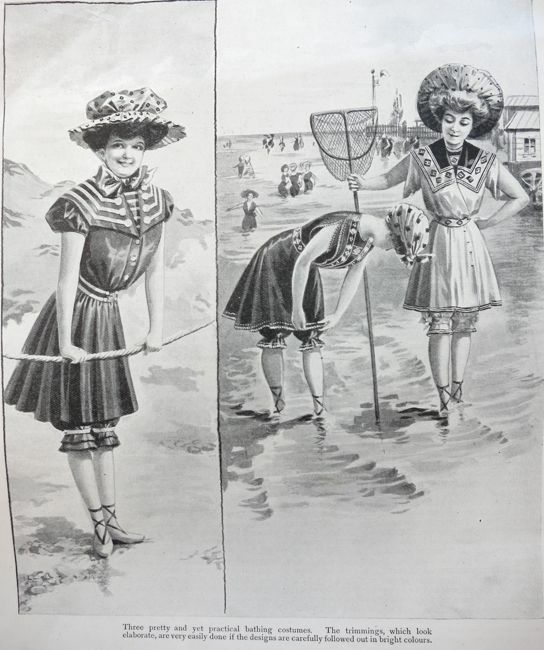 Hope you enjoyed the tour through some of my favourite literary clothing mentions. What are yours? Please do share and help with the inspiration! Has that flowered brocade dress been a RTD before, or is it just me liking it so much thinking it should be? Allison / Alysoun in The Miller’s tale and her rich seductive clothes, whatever they actually looked like. Gabra and Málinka (two sisters from a Czech series of books that could be likened to Anne of Green Gables somewhat) in Moravian-Wallachian folk costumes (HA! – where Gabra looks great in it while Málinka is a bit too gentle-looking for the style), and later getting some folk embroidery from a different region and using it, if I recall that particular book correctly, as ribbons on their hats. Nice! Isn’t that outfit description in Patricia Brent just delicious? Actually, isn’t all of Patricia just fabulous? Such a great look at that era! Patricia Brent, Spinster is indeed a great look at that era and, as I mentioned on FB, it explained a thing about the following era to me, too. Alas, a big part of the overall charm of Gabra and Málinka is the local dialect, and that would also not translate. is considered as mere trinkets. BTW, where can I post a link to my completed project for challenge #4? Thanks! Oh, what Christine de Pizan would have said to Anna Maria Lenngren! Wonderful! I quite enjoy the descriptions of dress given in Patricia Wentworth’s Miss Silver mystery novels – she always slips a few clues to character in, as well as giving an insight into wardrobe habits of the time (e.g. wear it one year for best, one year for second best, and then as long as it will last for housework and gardening). I like the way some items are described both by the wearer and by someone viewing the wearer and how those descriptions tell you something about the characters – I’m recalling Miss Silver’s fur tippet, which she thinks of as “so warm, so cozy” and a different character describing it as being small and a bit the worse for wear. Oh this post is so neat, and I really do like the comments. In many ways, clothes are how women speak and communicate–especially in a patriarchal society. While Fielding is an ambivalent friend to feminism, the clothing descriptions in Pamela make me want to read Shamela and to see if he uses clothing to describe and code his “heroine”. It is really neat to read interviews with costume designers for that very reason: they decide what a character or plot must communicate without speech. Ok, anyhow, I like the clothing described in I Capture the Castle. There is a lot of embarrassment, and a lot of fun at the same time. Oh – the girls’ suits during the department store trip to retrieve the aunt’s furs, dying the clothing (and everything else!) green, Rose’s pink dress, Topaz’s theatrical approach to appearance, Miss Blossom. The book is so vivid, and places you so firmly *in* the story. That was on my stack of books to pick quotes from for this post, but the post got too long, so I had to leave it off. One of my favourites! Such a good book, and such good comments on this thread! I think some people look down on excessive descriptions of characters’ outfits as a waste of time, but I think they (and descriptions of food) are some of the most fun details in reading books from the past, and I always enjoy a scene where the heroine adorns herself for a ball or something and we get a loving description of the dress. And then Aunt Elizabeth goes on to say (killingly) that she looks like an actress. No mentioned if Emily accessorized with her ancient Egyptian necklace that she received as a souvenir from a princess’ tomb. I’ve read The Wide, Wide World too, and I don’t remember much about it except that I hated it and it included a recipe for hot chocolate that involved raw eggs. So yay for descriptions of food! This post is delightful! And I love hearing about everyone’s favourite literature and costume connections. I’ve just finished reading ,again, ‘Lark Rise to Candleford’ by flora Thompson which gives lots of descriptions of ordinary English country women & childrens clothes in the 1880s / 1890s. Flora was the daughter of a stone mason & her childhood neighbours were very poor agricultural workers families. 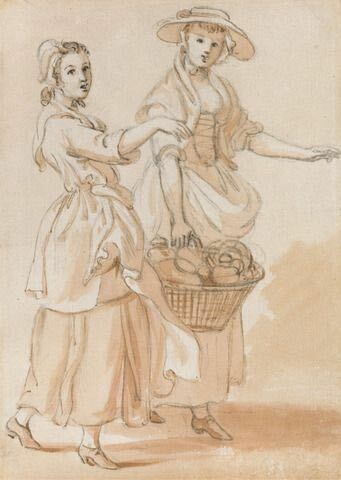 Clothes were often handed down by richer relations & by daughters in service. No fabric was ever wasted, it was remade, dyed, refashioned then made into clothes for the children & finally made into patchwork quilts or rag rugs, underwear was sewn at home & local dressmakers copied the latest fashions from magazines if someone could afford it, so therefore ordinary peoples clothes haven’t survived & we see mostly clothes from the richest sections of society in museums. 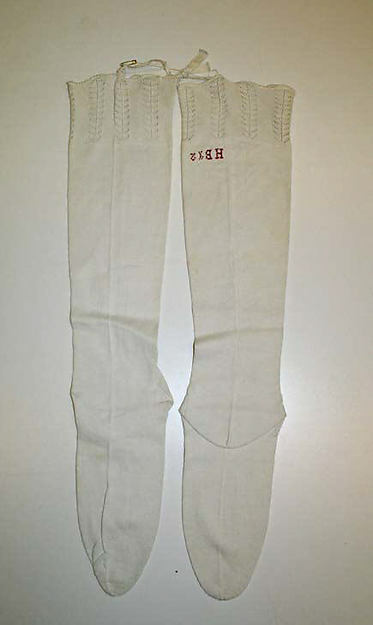 Very much in the same vein are the books by Alison Uttley, Farm on the hill & A country childhood give lot’s of descriptions of clothes of the 1890s. “Now the basque of Mary’s best dress was ready to try on for the last time. It was brown cashmere, lined with brown cambric. Small brown buttons buttoned it down the front, and on either side of the buttons and around the bottom Ma had trimmed it with a narrow, shirred strip of brown and blue plaid, with red threads and golden threads running through it. 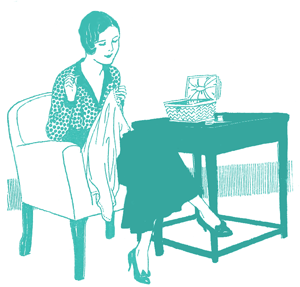 A high collar of the plaid was sewed on, and Ma held in her hand a gathered length of white machine-made lace. 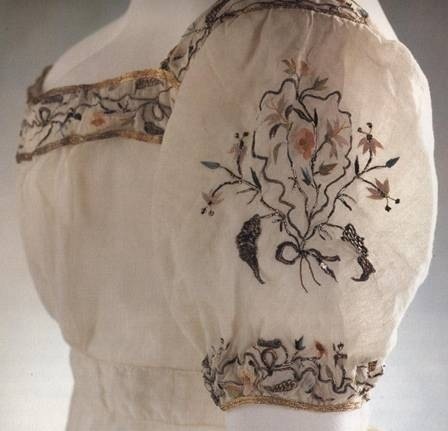 The lace was to be fitted inside the collar, so that it would fall a little over the top. They all stood back to admire. The gored skirt of brown cashmere was smooth and rather tight in front, but gathered full around the sides and the back, so that it would be ample for hoops. In front it touched the floor evenly behind it swept into a graceful train that swished when Mary turned. All around the bottom was a pleated flounce. The overskirt was of the brown-and-blue plaid. It was shirred in front , it was draped up at the sides to show more of the skirt beneath, and at back it fell in rich, full puffs, caught up above the flounced train. Above all this, Mary’s waist rose slim in the tight, smooth bodice. The neat little bottoms ran up to the soft, white lace cascading under Mary’s chin. The brown cashmere was smooth as paint over her sloping shoulders and down to her elbows; then the sleeves widened. A shirring of the plaid curved around them, and the wide wrists fell open, showing a lining of white lace ruffles that set off Mary’s slender hands. She walked up and down the long saloon while waiting for Laurie, and once arranged herself under the chandelier, which had a good effect upon her hair, then she thought better of it, and went away to the other end of the room, as if ashamed of the girlish desire to have the first view a propitious one. It so happened that she could not have done a better thing, for Laurie came in so quietly she did not hear him, and as she stood at the distant window, with her head half turned and one hand gathering up her dress, the slender, white figure against the red curtains was as effective as a well-placed statue. Oh, I remember the first two quotes very well! We still have the original dress in the collection and it comes out for display in Anna’s anniversary month. As I get nearer to Anna’s age (she was 29 when she got married), I find myself understanding more and more of her struggles! I’m hoping to make an 1860s dress this month with the Alcott sisters in mind, although I don’t think it will be finished in time to meet the challenge. Here is my post for this challenge: http://accoutrements-morag.blogspot.ca/2017/05/a-green-knit-purse.html (HSM description is part way down the page).